It’s little and has working parts? That’s sew amazing! 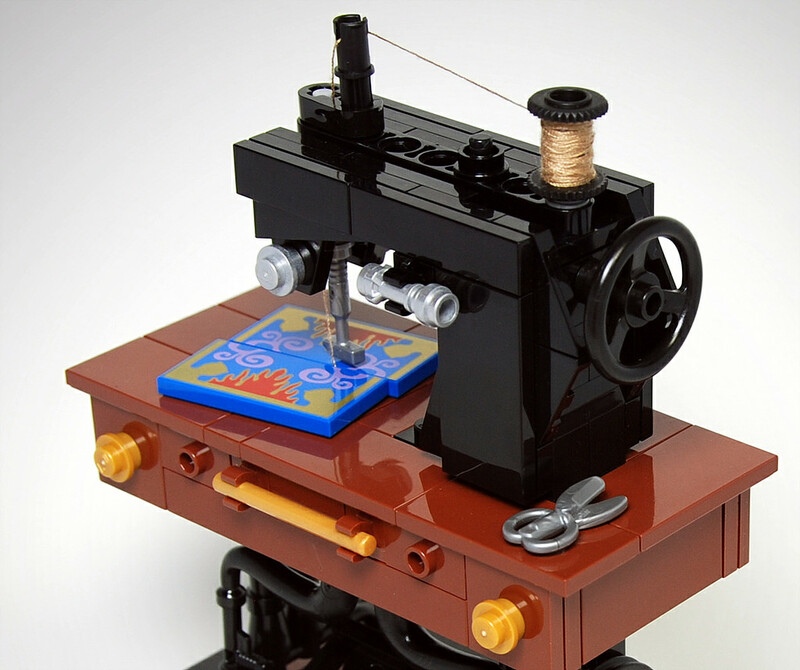 Vintage sewing machines might not be the same as antique cars, but nevertheless, there exists a community of people who enjoy stitching with old equipment. 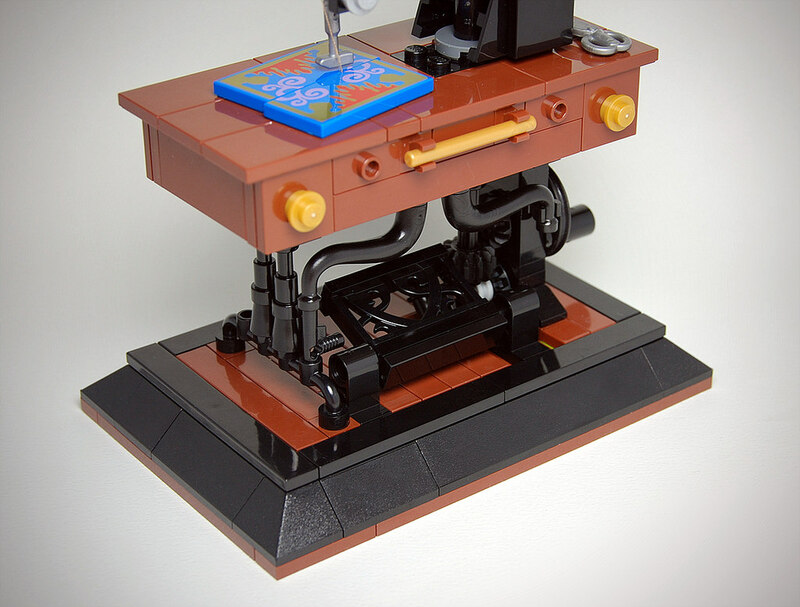 This small brick-built antique sewing machine by Pixeljunkie might just leave them in stitches. In addition to being wonderfully detailed, a turn of the crank handle reveals this piece of equipment is functional. Sew what if it doesn’t actually sew? The foot pedal moves back and forth while the needle bobs up and down, just like the real deal! And the lower portion of the sewing machine, showcasing the foot pedal. This build is phenomenal. Very much like JK Brickworks’, but much more personal to me, as all my great-granparents worked in the sewing industry.